SharePoint is a complicated beast; multifunctional and dynamic; essential for collaboration; one of the most widely used application platforms in the world; tricky and confusing—these are just some of the words and phrases that are often used to describe SharePoint. And, frankly, they are all more or less true. SharePoint is multifunctional, and it certainly is dynamic, but it also can be terribly confusing—especially to a new user. That's why we’ve put together a number of articles to help you understand the concepts behind some of the platform giant’s fundamentals, whether you are a complete beginner or someone who just wants to refresh their knowledge. In one of our previous posts, we talked generally about understanding SharePoint’s foundations. We looked at what a SharePoint Site is, the difference between Lists and Libraries and the importance of Columns. In today’s post we will look a little deeper at just what we mean when we talk about columns and column types. What Is a SharePoint Column? Previously, we suggested considering columns as tags for the files in your lists and libraries. This is still a good way of thinking about them. 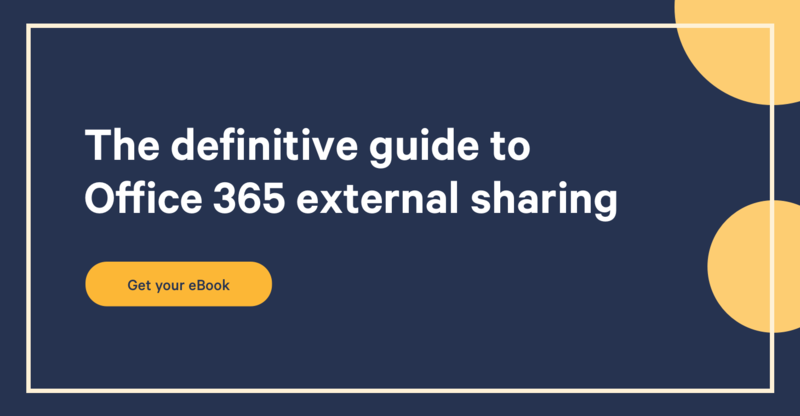 This may sound simplistic, but the foundational premise that SharePoint is built on is the storage of documents and other content that can be shared and collaborated on across your business. Within even the smallest of companies, content and data builds up rapidly, so knowing where your files are located and enabling an effective search experience is important to the proper functioning and management of the platform (and your productivity). Columns make sure the right content is in the right place. With the appropriate columns, documents can belong to more than one category even if they are stored in a single site location. They can therefore be filtered, sorted, and grouped in a specific and detailed way. This makes perfect sense when you consider how many files are being created, stored, edited, and searched for each day. Getting the right file from the correct location over and over again, on a consistent basis, will go a long way in ensuring your productivity levels remain at an optimal level. What Is a SharePoint Column Type? If columns ‘tag’ data, then column types determine how data is stored and displayed in a list or library. Essentially, when you go to create a column in SharePoint, you must choose the column type to go along with the type of data you wish to store in your new column. This column is then added to individual or multiple views of the list or library, which in turn helps you categorize the data in a specific manner. The whole idea behind columns and column types and, in fact, the raison d’être of SharePoint itself is enabling a dynamic and informative relationship with your organization’s data: columns enable sorting, grouping, and filtering of your content, while also calculating and displaying metadata of that content. For the different types of columns, you need to know what kind of data will be stored. Will it be numbers only, formatted text, a choice list, or automatically calculated numbers? Let’s have look at some of the more straightforward column types that are available to us and why we might use each one. A column that displays text in a single line—small amounts of differing information—for example, first names, last names, job title, etc. Collects and displays lengthier text on multiple lines. Best used when you need to add more information, such as a description or a comment related to an item. You can read the entire text when viewed in a list or library. This is a column for your numerical values (note: these are for numbers that do not represent monetary value). These can be used for storing data for calculations (that do not require a high level of accuracy); for example, if employees needed to log hours on a particular task. Similar to the Number column, Currency columns are used for numerical values, but these numbers do represent monetary worth. Choose this column for financial calculations, and calculations that require a high degree of accuracy. A currency column is accurate to 15 digits to the left of a decimal place and 4 digits to the right. You can specify min and max values, choose to include decimal places, display a default value, and format the number as a percentage. Like most column titles, this one is fairly straight forward. Here we have a column type to store true/false, yes/no, or other binary type information—for instance, as an RSVP to an event. Or if a project is open or closed, in progress, or completed. This column type builds a searchable list of people and groups that users can choose when adding or editing an item in the site. For instance, you could create a pool of employees that are authorized, or “Assigned To” to complete a certain task on the company ‘to do’ list. The Person or Group column can be customized to allow multiple selections, include or exclude groups of people, limit the list to specific users, and specify certain information to display. This column is for storing hyperlinks, which you can choose to display it as a web URL, a clickable hyperlink: if it’s a resource to be accessed; or a picture: if it’s a graphic for your Intranet or Internet. It's really important you pick the right SharePoint column type for the task it's destined for. Try creating some columns and add items to your list and library. Playing around is the best way to learn SharePoint.